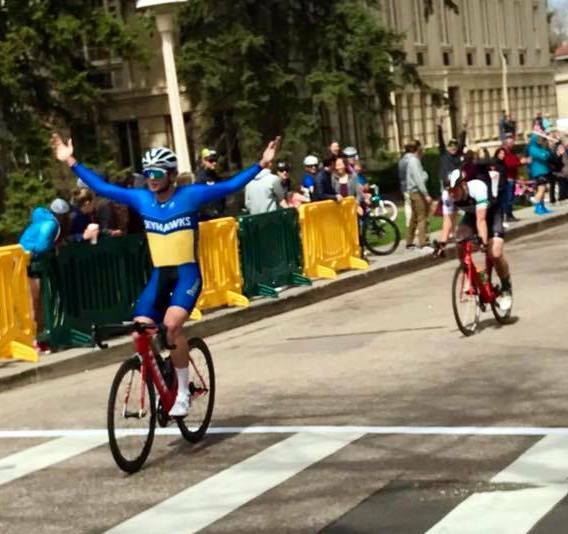 Kaden Hopkins won his first Collegiate A Men’s Race during the Cobb’s Lake Road Race hosted by Colorado State University. Freshman Hopkins representing Fort Lewis College rode to victory in the 68 Mile race when he clocked a time of 2:38.31, Caiden Plummer and Garrett Gerchar finished second and third with the same time. Hopkins then followed this up winning the Oval Criterium as part of the same race weekend.